Using and abusing substances often begins as way of coping when faced with stressful life events. This is a normal response to anxiety that is typical of human psychology, but substance abuse can end up causing us new problems. 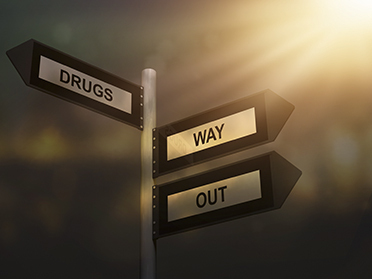 After awhile, substance use becomes a go-to response to stress or negativity such that you rely on drugs or alcohol to help you feel better, even if using these substances is making up feel worse in new ways: hang-overs, risky or inappropriate behaviour, offending friends and family or over-spending and debt. In order to be successful in stopping substance misuse, you will need the support of a professional. This is particularly important during the times when you are cutting down or stopping as this period can be the most taxing physically and mentally. Identify your triggers – When are the times when you are most likely to use or find it most difficult to resist temptation? If you are able to identify these situations, you can begin to avoid unhealthy people or places or make a plan when found in those contexts to keep you healthy and safe. Identify the costs and benefits to change- What about doing drugs or drinking works for you and what about it creates problems? Be kind to yourself when/if you have setbacks, beating yourself up just makes you feel worse! When having cravings, use breathing/relaxation exercises while reminding yourself that the cravings will pass, and if you can, try focusing on another activity to take your mind off of it. For confidential, non-judgemental changing the habits and patterns that are causing you concern, make an appointment therapist at the Montreal Therapy Centre.